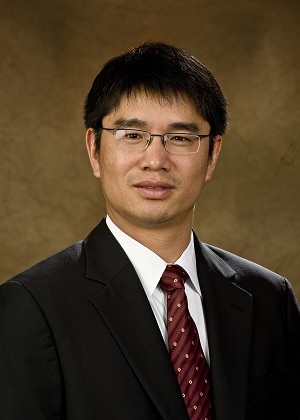 Jianqing Chen is an Associate Professor in Information Systems at the University of Texas at Dallas. He received his Ph.D. in Management Science and Information Systems and Master of Economics from the University of Texas at Austin, Bachelor and Master of Engineering from Tsinghua University, Beijing, China. Business Analytics With R (BUAN/MIS 6356, graduate core), The University of Texas at Dallas, Spring 2019.
Business Analytics With SAS (BUAN/MIS 6324, graduate core), The University of Texas at Dallas, Spring 2018, Spring 2019. Social Media and Business (MIS 6373, graduate elective), The University of Texas at Dallas, Spring 2013, Spring 2014, Spring 2015, Spring 2016.
Business Intelligence Software and Techniques (BUAN 6324, graduate core), The University of Texas at Dallas, Spring 2016. PhD Seminar in Management Information Systems (MIS 7420), The University of Texas at Dallas, Spring 2015, Spring 2018. Introduction to Management Information Systems (MIS 3300, undergraduate core), The University of Texas at Dallas, Spring 2012, Fall 2012, Spring 2014. E-Business (MGIS 467, undergraduate elective), The University of Calgary, Winter 2011. PhD Seminar in Management Information Systems (MGIS 799), The University of Calgary, Winter 2010. Management Information Systems (MGIS 317, undergraduate core), The University of Calgary, Fall 2008, Fall 2009, Fall 2010. Information Technology in Business (MIS 301, undergraduate core), The University of Texas at Austin, Fall 2007. Associate Editor: Information Systems Research, 2016-present. Senior Editor: Production and Operations Management, 2018-present. Guest Associate Editor: MIS Quarterly, 2011, 2015. Guest Senior Editor: Production and Operations Management, 2016, 2017, 2018. Conference Co-Chair: China Summer Workshop on Information Management (CSWIM), 2016. Cluster Co-Chair: Information Systems Cluster of INFORMS, 2014. Cluster Co-Chair: E-Business Cluster of INFORMS, 2013. ISS Sandra A. Slaughter Early Career Award, INFORMS, 2016. Best Paper Award, The Ninth China SummerWorkshop on Information Management (CSWIM), 2015. Best Paper Award, The Ninth China SummerWorkshop on Information Management (CSWIM), 2012. Best Paper Award, The Fifteenth INFORMS Conference on Information Systems and Technology (CIST), 2010. Dean's Award for Outstanding New Scholar, The University of Calgary, 2009. Best Paper Award, The Ninth China SummerWorkshop on Information Management (CSWIM), 2007. William S. Livingston Graduate Fellowship, The University of Texas at Austin, 2006. University Preemptive Fellowships, The University of Texas at Austin, 2003. Tsinghua Top-Grade Scholarship, Tsinghua University, 2000 (Coverage in New Tsinghua, in Chinese). 2019 Jianqing Chen. All Rights Reserved.